Playing in mom’s closet is always fun — especially if your mom is Madonna. The pop superstar’s adorable twin girls, Esther and Stella, 4, already know how to work a photo shoot just like their famous mother, and they proved it by striking a sassy pose while playing dress-up. 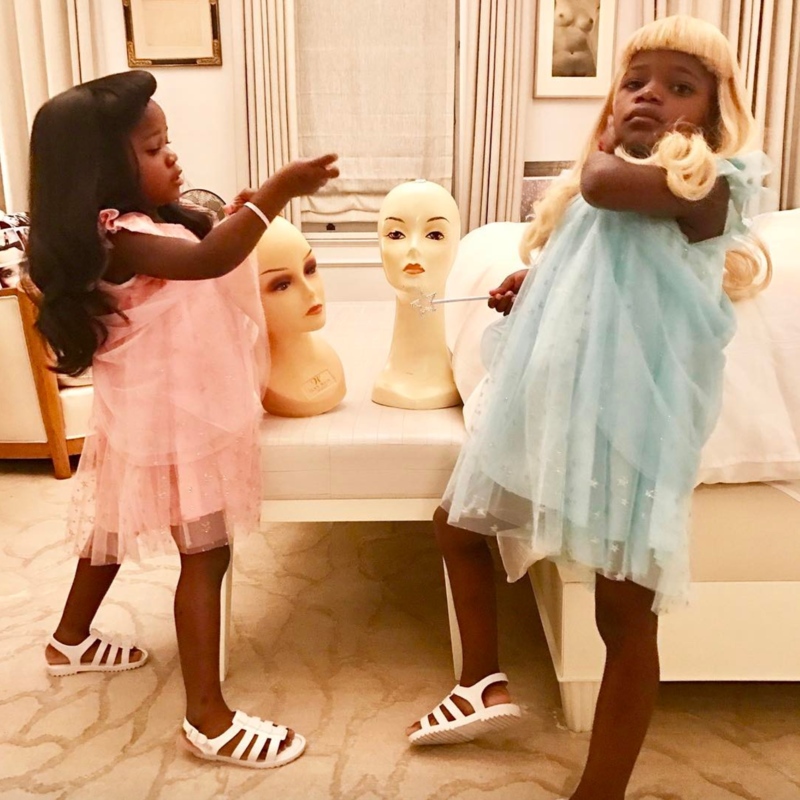 In an Instagram photo Madonna posted on Monday, April 17, the twins rocked blonde and brunette pinup-inspired wigs, paired with princess-inspired blue and pink tulle dresses. “Getting Ready For the week Ahead,???????????? ?,” the “Living for Love” performer, 58, captioned the pic of her daughters. Madonna’s girls are pros at working the camera in matching outfits for her social media pages. On April 10, the “Dress You Up” singer posted a picture of her daughters in matching bunny-printed Adidas tracksuits and shell toes, posing in front of a grizzly bear sculpture. “Sometimes its best to be an I Don’t Care Bear! ?????????? “,” she wrote alongside the photo. Madonna adopted the twins from Malawi in February. Since then, she has shared a number of sweet snaps of her girls, including one from their Easter celebrations, where the girls participated in a family egg hunt. Gang-Gang! ?Easter Egg Hunt! ???????????????? ?